Nuts, fruit and vegetables were recalled more than twice as much as meat and fish in the first three months of 2018, according to EU figures. Fresh produce and nuts containing harmful chemicals or mould accounted for almost 40 per cent of food recalls in EU countries in the first three months of 2018. By contrast, meat and fish recalls made up less than 20 per cent of the food total. Across Europe there were more than 300 separate recalls of the vegan staples in the first three months of 2018, according to a Q1 report by Stericycle Expert Solutions’ European Recall & Notification Index. From the start of January to the end of March there were 183 recalls and notifications on nuts, nut products and seeds, while fruit and vegetables were recalled 121 times. Together the two categories accounted for nearly two fifths of food recalls, making up 22.4 per cent and 14.8 per cent of the total respectively. By comparison, poultry (which came third in the table) was recalled 73 times and fish (which finished fourth) faced 57 recalls. There were 32 recalls on non-poultry meat products. Bacterial contamination was the top cause of food recalls overall, at 25.2 per cent, followed by aflatoxins (cancer-causing mould) with 20.6 per cent. Commenting on the findings, Dominika Piasecka from The Vegan Society said: "We see media stories about meat contaminated with bacteria and eggs contaminated with salmonella all the time, but on this occasion foods from plant origin were found to contain harmful chemicals. "Although these foods are by no means exclusive to a vegan diet, we are pleased that harmful products have been swiftly identified and recalled. We hope any potential incidents like this will be prevented in the future." Encouragingly for the fresh produce industry, fruit and veg was recalled 20 times less in the first quarter of 2018 than in the corresponding period last year, when the sector accounted for 18.2 per cent of total food recalls. The European fresh produce industry has consistently been marred by a high number of product recalls, emerging as one of the top two most recalled categories of food since 2014, when Stericycle’s records begin. 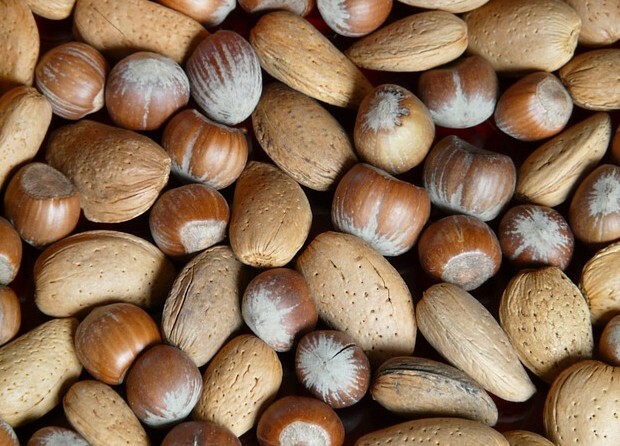 Meanwhile, the number of recalls on nuts has more than doubled since the first quarter of 2014, when there were just 78 (compared to 183 this year). In the first quarter of 2018 the top five countries of origin for recalled food were Turkey (92 product recalls), France (47), Brazil (45), China (43) and Spain (36). The top notifying countries were the Netherlands, the UK and Germany, accounting for 39.5 per cent of food recalls and notifications. Farzad Henareh, vice president of commercial and business development at Stericycle Expert Solutions, said: “Although on the face of it, this looks alarming, the silver lining is that these contaminated food products are being flagged. The numbers used by Stericycle are crunched from raw data from the EU’s RASFF rapid alert system.